More than 1,200 firefighters assisted by a fleet of air tankers and helicopters have been working in hot, dry weather since the blaze broke out. Firefighters have made progress battling a 5-day-old forest fire in Southern California's San Bernardino Mountains. 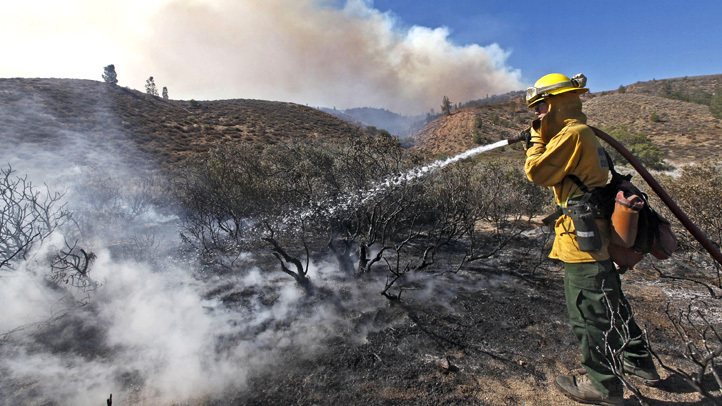 Dubbed the Holcomb Fire, the approximately 2½-square-mile (625 hectares) blaze northeast of Big Bear Lake is 65 percent contained Friday morning. More than 1,200 firefighters assisted by a fleet of air tankers and helicopters have been working in hot, dry weather since the blaze broke out June 19 in the Holcomb Valley area. Elsewhere in California, a fire that has burned more than 2 square miles (609 hectares) in Sequoia National Forest is in the mop-up stage. The blaze southwest of Lake Isabella is 95 percent surrounded and full containment is expected Sunday.